Why Are These Five Stocks Trending? On a day where the S&P 500 is just a few percentage points below its all time high, shares of Wal-Mart Stores, Inc. (NYSE:WMT), Alibaba Group Holding Ltd (NYSE:BABA), JD.Com Inc (ADR) (NASDAQ:JD), Paypal Holdings Inc (NASDAQ:PYPL), Apple Inc. (NASDAQ:AAPL) are trending. Let’s find out why. In addition, let’s also analyze hedge fund sentiment toward stocks. Why do we pay attention to hedge fund sentiment? Most investors ignore hedge funds’ moves because as a group their average net returns trailed the market since 2008 by a large margin. Unfortunately, most investors don’t realize that hedge funds are hedged and they also charge an arm and a leg, so they are likely to underperform the market in a bull market. We ignore their short positions and by imitating hedge funds’ stock picks independently, we don’t have to pay them a dime. Our research has shown that hedge funds’ long stock picks generate strong risk adjusted returns. For instance the 15 most popular small-cap stocks outperformed the S&P 500 Index by an average of 95 basis points per month in our back-tests spanning the 1999-2012 period. We have been tracking the performance of these stocks in real-time since the end of August 2012. After all, things change and we need to verify that back-test results aren’t just a statistical fluke. We weren’t proven wrong. These 15 stocks managed to return 102% over the last 37 months and outperformed the S&P 500 Index by 53 percentage points (see more details here). 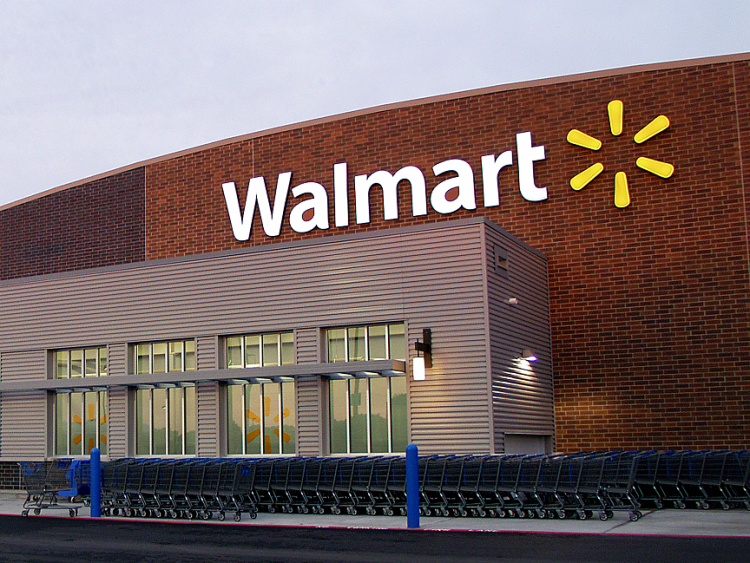 Wal-Mart Stores, Inc. (NYSE:WMT) stock is buzzing after the retail giant announced it will change its Black Friday strategy. For the first time ever, the lion’s share of Wal-Mart’s Black Friday deals will also be available online and will be available to online customers earlier at 3:01 AM rather than the in-store 6 A.M. Shares of Wal-Mart have fallen by 31.6% year-to-date due to competition from Amazon and rising labor cost concerns. Investors fear Wal-Mart will no longer be as relevant as it was in the Amazon age. They also fear the hot labor market and higher minimum wage laws will cut Wal-Mart’s operating margins. Our data of around 730 elite funds show many smart money investors are optimistic, however, with Warren Buffett’s Berkshire Hathaway owning 60.39 million shares at the end of June, and Bill & Melinda Gates Foundation Trust, managed by Michael Larson, sporting a position of 11.6 million shares at the end of the second quarter. In other news, Alibaba Group Holding Ltd (NYSE:BABA) and JD.Com Inc (ADR) (NASDAQ:JD) are trending after Alibaba broke its own record for sales on China’s Singles Day on Wednesday. For 2015’s occasion, Alibaba recorded sales of 91.2 billion yuan ($14.3 billion), a 60% jump from the 2014’s record Singles Day haul. Despite the strong sales, Alibaba and JD.com shares fell after the news was announced. Investors don’t think the singles day GMV jump will necessarily mean strong GMV growth for Alibaba and JD.Com’s next quarter. Investors are more interested in Alibaba’s monetization rate and JD.com’s growth rate instead. 85 funds owned $4.77 billion of Alibaba Group Holding Ltd (NYSE:BABA)’s shares at the end of June (making up around 2.3% of the float) while 75 funds owned $11.81 billion of JD.Com Inc (ADR) (NASDAQ:JD)’s shares and accounting for 25.30% of the float at the end of the second quarter. On the next page, we examine why Apple and Paypal are trending.